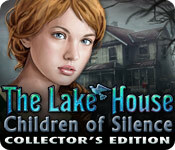 The Lake House: Children of Silence Collector's Edition is rated 4.5 out of 5 by 131. Rated 5 out of 5 by smilingsun72 from Love, vengeance, and a mask...what do they are have in common? Complete CE: Henry is engaged to Ann. But something happens that makes them return to the lake house and town were they grew up. Upon arrival Ann is kidnapped by a menacing figure in a mask. As Henry combs the abandoned lake house and town his memory returns and he uncovers what happened to Ann's brother 15 years earlier. Will Henry save Ann? 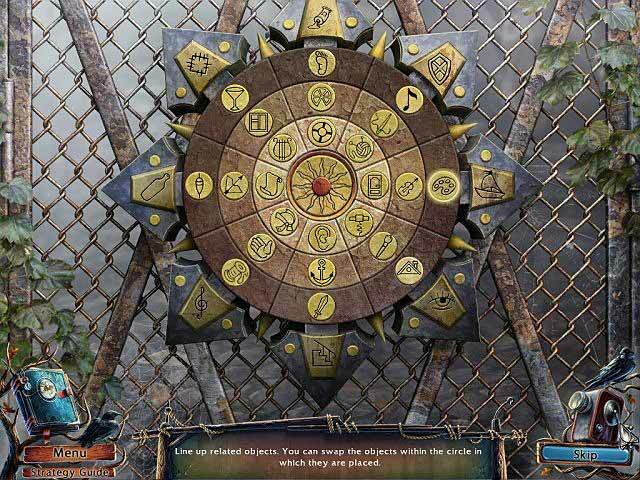 Play this awesome game to find out! I have had this game for a couple of years and come back and play it from time to time. I am always amazed a how much the story draws me in every time. The scenes are still beautiful though they might appear grainy and a little glum to most games found on BF today. But they are perfect for the theme, which isn't creepy or gloomy like most recent games coming to BF right now. The music score is great!. The puzzles are not that difficult and the HOs are pretty much straight forward with come interaction. There is a map but no fast travel or bells and whistles. There is some going back and forth but is in the area that tasks have to be completed in. I can say this one of those game that have everything I like. A great story. Nice scenes and a great music score. Excellent voice acting. And it's has lots to keep my entertained for a few hours, which is a nice length for a game to have. Rated 5 out of 5 by EzgiMelody from Really Nice !! I really enjoyed to play every second of this game ! Quality, Fun, Challenging HOG.s and Beautiful Storyline. Rated 5 out of 5 by smoovasbutter from Good Good horror game with decent story, nice soundtrack and fine graphics. I like the idea of a cursed mask. Of course there are a couple of logic gaps in the story. Decent length. My only complaint was that the HOS's were too numerous and repetitive. Rated 5 out of 5 by dcgvmy from Non-silent Review I thought the game was great. 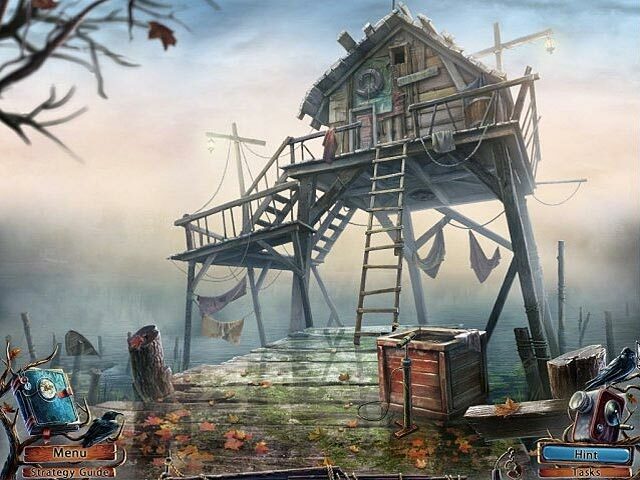 I have been hoping that there will be a second "The Lake House" game. I'm sure many of you have been hoping for a second game too. If any Big Fish workers are reading this comment, can you PLEASE!!!! make it happen. Rated 5 out of 5 by kerith90angel from Played to completion. Everything in this game worked. Great story and kept your interest. The only thing, wish the graphics had been a pinch less hand drawn and more like the Midnight Mysteries series; it would have perfected it. Rated 5 out of 5 by GinSchaefer from Great story and lots of scenes--worth its price I love long games, great art and good stories. This one has them all. Totally recommend it. Rated 5 out of 5 by mimicampdesert from Always Fun Every Time I have played this game several times. I am currently playing the Android version. Your character is a man, who is trying to find out what happened to Tommy, your fiance's brother 15 years ago. You end up at the lake house where sinister things are still happening. I like the mini-games and do not mind the HOS as well (I sometimes go through these as fast as I can to get back to the story). This game was well thought out and I do wish new games had the same quality and thoughtfulness. For example: when trying to use a hammer on an item it tells you "if I use the hammer here I might break this, I need something else". I like this much better than the standard "What was I thinking" , "I won't be doing that again" or any of the other canned responses used by developers today. Music is good and this same track is used in many games. Visuals and graphics are good. This was quite a long game IMO and I did not tire of it once. I recommend this game! Rated 5 out of 5 by arnold1049 from LOVED THE TRIVIA IN THE BONUS CONTENT This game has almost all the things that make CE games worth the extra cost; built-in strategy guide, map (although it should have been interactive to be perfect), excellent hint button, and a bonus chapter that melded with the game flawlessly. And the bonus chapter was pretty long. Because the map and the hint button worked so well, I never had to refer to the strategy guide. I don't think I had to skip any puzzles, either. There was a little more back and forth than I normally like (hence the wish for an interactive map), but the rest of the pluses made this game worth putting up with that small amount of frustration. In the bonus content, there were 9 trivia facts about the development of the game that made the game that much more interesting. Neat addition that I've never seen in any other game. 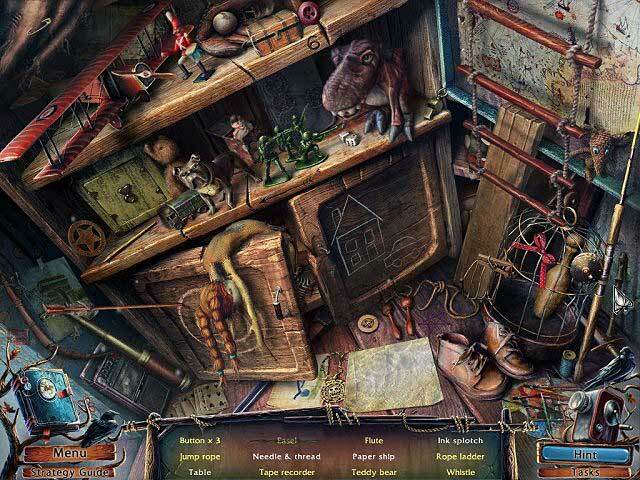 Rated 5 out of 5 by Jovana0204 from Love it Love the story, surprise factor, music,... Overall, fantastic game. Long-forgotten memories bubble to the surface when the past invades the present in the Collector's Edition of Lake House: Children of Silence!